Villa Borghese is a large park in the city of Rome that includes accommodations in a variety of green, from the Italian garden to large areas of English style, buildings, small buildings, fountains and ponds. It is the third largest public park in Rome (80 hectares), after villa Doria Pamphili and villa Adae extends largely on the neighborhood and to a small extent Pinciano on rione Campo Marzio, divided from the Aurelian walls. The Park contains several buildings and has 9 inputs: one of the most popular of porta Pinciana, the scalinata di Trinità dei Monti, the ramps of the Pincio to piazza del Popolo and the monumental entrance in piazzale Flaminio. "Pincio's Garden" (corresponding to the Pincio Hill), in the South of the Park, offers a landscape known for Rome. The building of the villa ("villa Borghese Pinciana"), today seat of the Galleria Borghese, was built by the architect Flaminio Ponzio, who developed the sketches by Scipione Borghese. 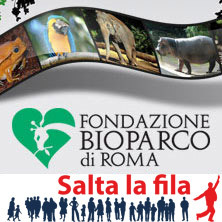 The villa also hosts Rome zoo Bioparco recently transformed and the Museum of Zoology, while the "Casina delle Rose" is today the seat of the House of Cinema. Near the latter is the Cinema dei Piccoli, the smallest cinema in the world.